This is currently under (re)construction. It will take me a little while, but this is, in principle, a repository of my writings, including collaborative works and stuff in the works. Most recent is We The Sovereign, a book in the Radical Futures Series of Polity Press. The two books before that are Popular Democracy, written with Ernesto Ganuza, and before that, The Civic Imagination, a book/project written by ten hands. A full list of publications (“CV-like”) is here. It has been my experience that finding someone’s posted writings can be extremely useful. Everything here is thus shared in the spirit of collaboration and under Creative Commons. I’ve also had the frustrating experience of finding an article that copied entire paragraphs of an essay I had posted online without attribution. Please cite properly, and more than that, please share your own work. Democratizing the Green City: Towards a Political Framework. With Daniel A. Cohen and Hillary Angelo. Beyond Civil Society: Activism, Participation and Protest in Latin America. Edited with Sonia Alvarez, Agustin Lao-Montes, Jeffrey Rubin, Millie Thayer. Popular Democracy: The Paradox of Participation. (BOOK) With Ernesto Ganuza. Stanford UP, December 2016.
Review of Employment and Development Globalization- State and Economy in Brazil. Also available at Contemporary Sociology 45:4 here. ‘How and When did Participation Become Neoliberal?’ chapter for Remaking Urban Citizenship: Organizations, Institutions, and the Right to the City, edited by Michael Peter Smith and Michael McQuarrie, forthcoming, 2011 Brill Publishers. Beyond the Laboratory: Actor Network Theory and the Ethnographic Imagination. With Diana Graizbord and Michael Rodriguez. Forthcoming, December 2013. Qualitative Sociology. The Power of Ambiguity: How Participatory Budgeting Travels the Globe, With Ernesto Ganuza. Journal of Public Deliberation: Vol. 8: Iss. 2, Article 8. Transformation Institutionalized Making Sense of Participatory Democracy in the Lula Era. 2012. With Einar Braathen and Ana Claudia Teixeira. For Stokke C. and O. Thornquist (eds), Democratization in the Global South: The Importance of Transformative Politics. Politics Without Banners? 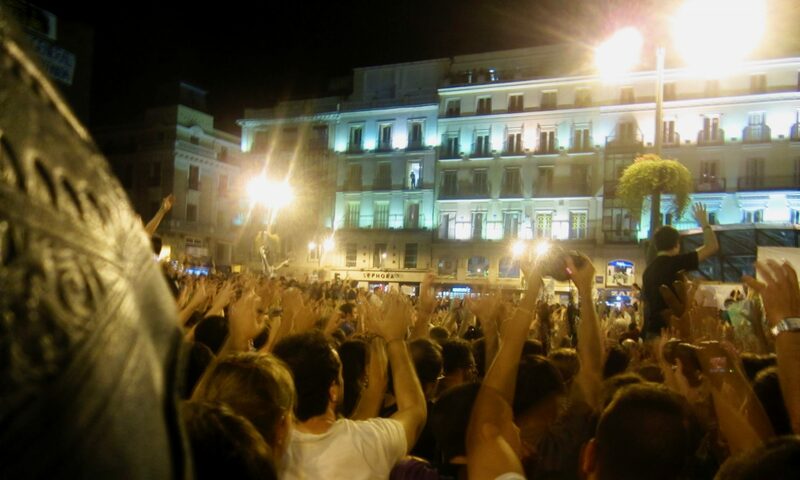 The Evolving Saga of the Indignados of Spain. With Ernesto Ganuza. Co-Designing and Co-Teaching an Ethnography Workshop Class. Alissa Cordner, Peter Klein, and Gianpaolo Baiocchi. Bootstrapping Democracy; Urban (BOOK) Introduction. With Patrick Heller and Marcelo Silva. Stanford University Press, March 2011. ‘The Politics of the Habitus: Publics, Politics and Race in Brazil.’ (With Lisa Corrado) Qualitative Sociology, Spring 2010. ‘Whither Politics: Comment on Freschi and Meme’ (2000 words) commentary inSociologica, online journal of the Italian Sociology Association (2010). ‘Making Space for Civil Society: Local Democracy in Brazil.’ With Patrick Heller and Marcelo K. Silva. Social Forces, March 2008. ‘The Ethnos in the Polis: Political Ethnographies in Sociology.’ With Brian Connor. in Sociology Compass 1:3, January 2008. ‘The New and the Old in the Workers’ Party of Brazil’ with Sofia Checa. InLeftovers: Tales of the Latin American Left. J. Castañeda and M.A. Morales-Barba (eds) (2008, Routledge). ‘Could Participatory Budgeting work in the United States?’ with Josh Lerner. in The Good Society, 15, 2007. Lost in Translation: Brazil’s PT from Local Practices to National Power’ with Sofia Checa. WorkingUSA: A Journal of Labor and Society 24:2, 2007.
Review of Mariscal’s Brown-Eyed Children of the Sun in Choice 2007.
Review of Davis’ Planet of Slums in Choice 2007. Reprinted as ‘El Dinamismo de los desorganisados’ in La Isquierda y La Ciudad,Chavez and Goldfrank (eds). ‘Lula at the Crossroads’ in Economic and Political Weekly (India), February 2006 (4,500 words). ‘Crisis of the PT’ in Against the Current, May 2006 (4,000 words). ‘Interrogating Connections: From Public Criticisms to Critical Publics in Burawoy’s Public Sociology’,’ in Critical Sociology 31(3): 339-352, 2005.
Review of Robert Fishman’s Democracy’s Voices in Mobilization, 2005. ‘The PT and the Contradictions of the Good Governance Road: Brazil’ Workers’ Party as Urban Manager’ in Development Update (South Africa) 5:287-303,2004.
Review of Brettschneider’s Democratic Theorizing from the Margins in Journal of World Systems Theory 2004.
Review of Wilensky’s Rich Democracies, Social Forces 2004. ‘Anything but Racism: How Sociologists Limit the Significance of Racism’ with Eduardo Bonilla Silva, in Race & Society 4(2): 117-131, 2003. ‘Emergent Public Spheres; Talking and Practicing Politics in Participatory Governance.’ American Sociological Review 68:52-74, 2003. ‘Synergizing Civil Society: State Civil Society Regimes in Porto Alegre, Brazil.’ Political Power and Social Theory 15:3-86 2002/2003. Review of Guttman’s Romance of Democracy and Avritzer’s Democracy and the Public Space in Brazil in American Journal of Sociology, 2003. ‘Thoughts on Brazil’s Future.’ (Interview by Stephanie Luce) in Against the Current 2003.
Review of Baker’s Understanding the Causes of Puerto Rican Poverty in Contemporary Sociology, 2003. ‘Media Coverage of 9-11 in Brazil.’ New Media and Society 3:2, 183-191, 2002. The Pariahs of the Wonderful City. Crime, Geography and Citizenship in Rio de Janeiro. DisClosure: A Journal of Social Theory 11:143-163, 2002. The Urban Question in a Global World: ’(a book review of David Harvey’s Spaces of Hope) in Socialism and Democracy 33, 2002. After Dependency: New narratives on (new) Inequalities in the Caribbean and Latin America‘ unpublished. August 2002. “Just Getting By” : The Experience of Temporary Work in San Diego’s Labor Market. With Paula Chakravartty and Sundari Baru. Report for the Center for Policy Initiatives, San Diego, California, May, 2002. Brazilian Cities in the Nineties and Beyond: New Urban Dystopias and Dystopias. in Socialism and Democracy 30:43-63, 2001. Dictionary Entries for The Dictionary of Sociology: Democracy, Culture, Political Sociology, Sociology of Development, Marxist Sociology, Political Culture, Critical Sociology. The Gale Group: 2001.